Free and open source software is characterized by the freedoms and criteria that are warranted by specific licenses. These licenses describe the rights and duties of the licensors and licensees. However, a licensing change may be necessary in the life of an open source project to meet legal developments or to allow the implementation of new business models. 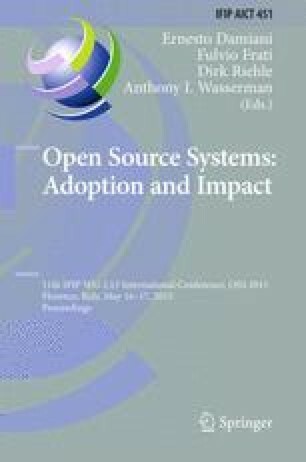 This paper examines the motivations and impacts of license changes in open source projects. After a state of the art on the subject, a set of case studies where projects changed their license is presented. Then a set of motivations to change licenses, the ways to legally make this change, the problems caused by this change and a set of benefits of the license change are discussed.